Rise and conquer! 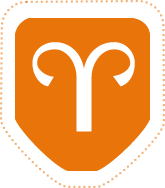 You Aries stare roadblocks straight in the face with a headstrong, take-charge attitude. And you Rams don't have horns on your head for nothing -- they certainly come in handy when diving headfirst into goals and projects, which you so often do. Others are drawn to follow you, as Rams also make great action-oriented leaders with know-how. Although you're eager to face your fears in order to beat them, you are certainly up for the challenges that come your way. While it may be backwards for others, your motto is "Ready, fire, aim!" because you take a different approach -- you learn as you go along, which speaks to your level of confidence. At the same time, that impulse to "dig in" can cause false starts, and before you know it, you're in too deep. Oftentimes, you're forced drop one project and move on to another, before even finishing the first task. Take your time in the decision-making process and make sure you know exactly what you're getting yourself into. It makes perfect sense that as a Fire sign, Aries are naturally warm, but they're also spontaneous -- and obviously at times, just plain hot. So even when others feed on your survival skills, you stay full of warmth. You don't make moves based on logic, but intuition, while keeping in the moment. Everything begins with the 1st house, and Aries is the first sign of the zodiac. The 1st house symbolizes our physical body and personality, and how the rest of the world sees you -- not how you see the world. New beginnings, childhood or the start of a budding relationship or project are also represented.